Calcium deposits on the eye may result from a variety of different conditions. Depending on their location, they may affect the function of the eye. If they are located under the eye and are asymptomatic, home remedies are available to remove them. If calcium deposits are affecting your vision or causing pain, you should seek medical attention immediately. Excess calcium deposits in the soft tissues around the eye often make the eye look tired. You can try removing calcium from the diet, suggests Meltdown.com, which you can track on a calorie calculator. This includes dairy products, fruit juices fortified with calcium, and foods rich in vitamins A and D, which can cause cells to retain calcium. Once your body detoxifies and the appropriate level of calcium is restored, the deposits should disappear and the tired appearance should improve. Small white cysts under the eye are often called "calcium deposits" but are actually millia, according to dermatologist Alan Rockoff with the Rockoff Dermatology Center in Brookline, Massachusetts. 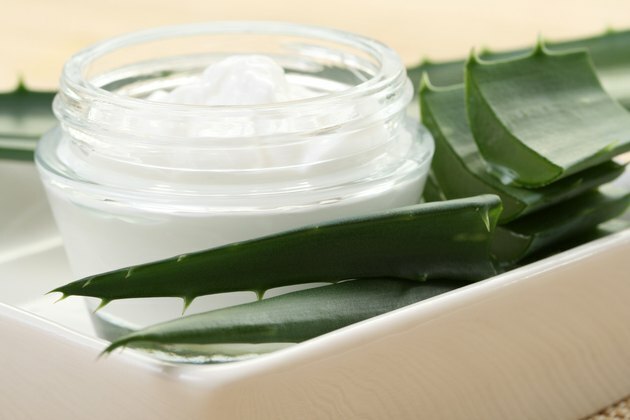 Home remedy website DrGranny.com recommends applying aloe vera or antiaging creams to the skin where the calcium millia are located. The theory that once the skin is soft and supple the deposits will fall off.